The second one in Vila Tobler’s garden, in the Winkelwiese. A confession: it is one of the nicest fountains in Zurich and I had no idea about it. Nor would I, if it wasn’t for B. and M., who spot it during one of theirs Saturday afternoon strolls. 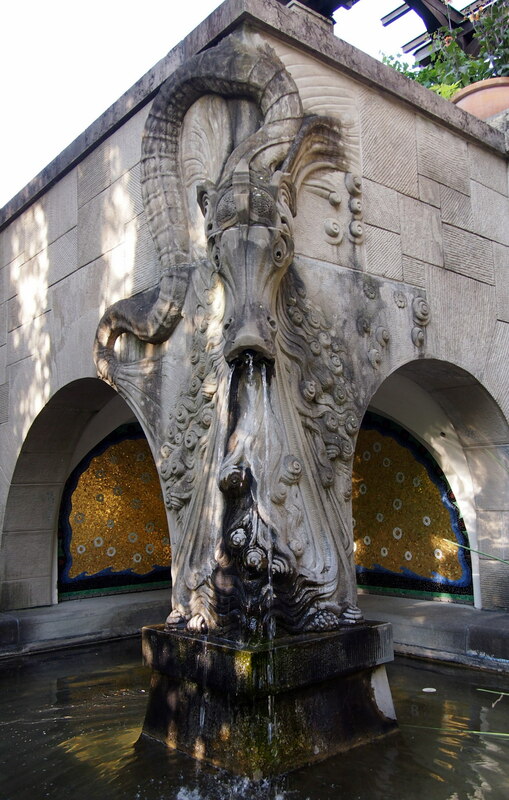 A instagram was sent my way, but It took me weeks of crying, begging and bribing until they put me out of my misery… But, here it is – possibly the only Art Deco fountain in Zurich.